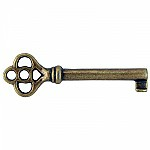 Beautiful and well-made skeleton keys for house doors. 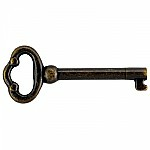 Will open most bit-key locks on the market. 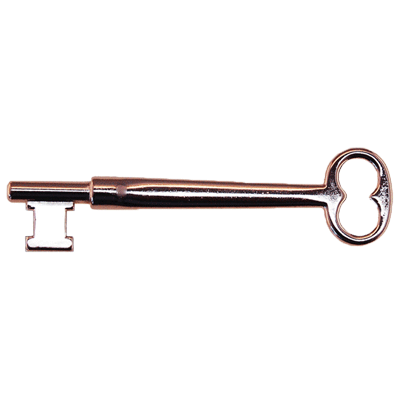 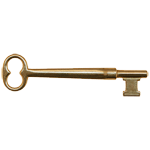 This pretty skeleton key was designed to work as a master key for antique mortise and rim architectural locks. Featuring a double notched bit. 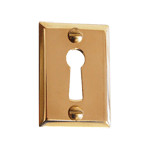 Forged brass with a nickel plate. 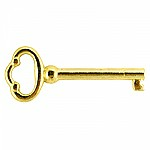 This item is $2.87 when your order exceeds $250 before shipping in qualifying items.